Owned and Operated by BOATERS! 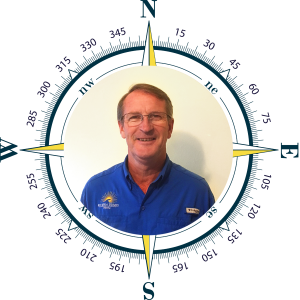 Bill has spent over 35 years in marina operations and management. He began his career on the upper Mississippi River working and eventually managing the city owned 625 slip facility. His next marina was a 650 slip fresh water dockominium marina on Lake St. Clair north of Detroit, MI. Feeling the need to escape the Midwestern winters, Bill began migrating south, spending three years in southern Kentucky on Lake Cumberland managing an 800 slip resort marina complex before the lure of salt water brought him to Charleston, SC. Bill relocated to Florida and joined Riviera Dunes in April 2017. 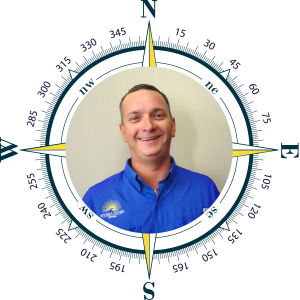 Rod grew up in Birmingham, Alabama, where he spent most of his summers working in marinas, doing everything from commissioning to detailing. For eight years, he worked with a local plumbing company, moving up until he had his own installation crew. Rod moved to Florida in 2009 and returned to his roots on the water. He started at Twin Dolphin Marina as a dock hand and quickly rose to dock supervisor and head of maintenance. Rod loves fishing, being on the water, and spending time with his family – his wife Angelique and their young son Gabriel. 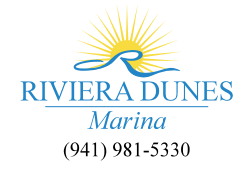 Rod joined Riviera Dunes Marina as our Dockmaster in May 2016. Originally from Michigan, Peggy has been a Floridian since she was nine years old, where she grew up in Sarasota. In 2000, she graduated from the University of South Florida with a Bachelor’s Degree in Finance. Peggy brings over ten years of experience in apartment management to her position here at Riviera Dunes. When she’s not helping our boaters, she loves to spend time with her two lovely children, Kayla and Nathan. 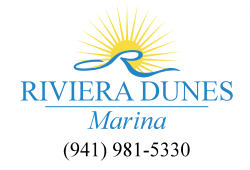 As our Office Manager and assistant to the General Manager, Peggy is the best resource for information regarding your accommodations here at Riviera Dunes Marina.